This past week has been a long one - lots of hours at work and a lot of trying to get caught up on sleep. I am looking forward to going to bed here in a few minutes. Sometimes during the winter, my cabin fever comes on quite strong and I only want to get out the house to do something, even it it's just errands. Last weekend, my roommate treated me to brunch at Georgia's Greek Deli and we had stopped for doughnuts at Frost while on our way to run some errands. These doughtnuts are so very delicious. 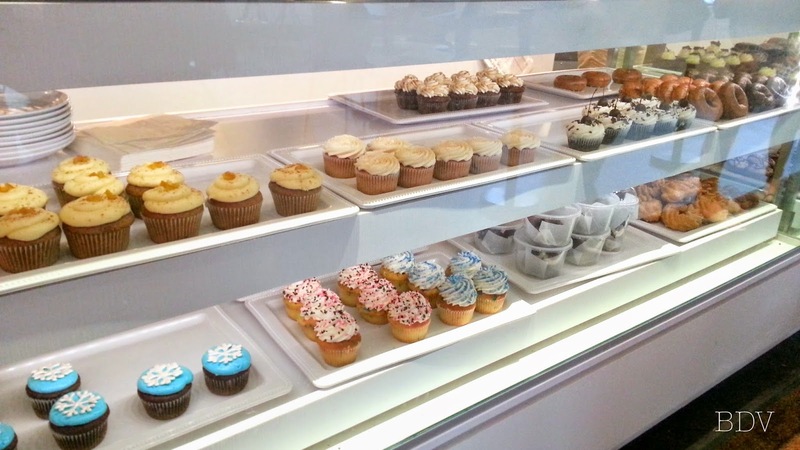 They are slightly higher priced than that of a standard doughnut, but are made in various flavors to even having cupcakes! 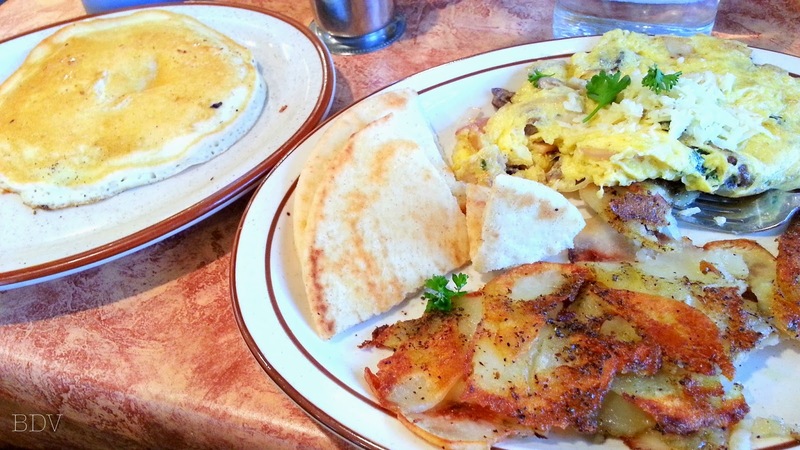 And breakfast at Georgia's: Katarina's omelet with potatoes and pita, with a delicious side pancake. 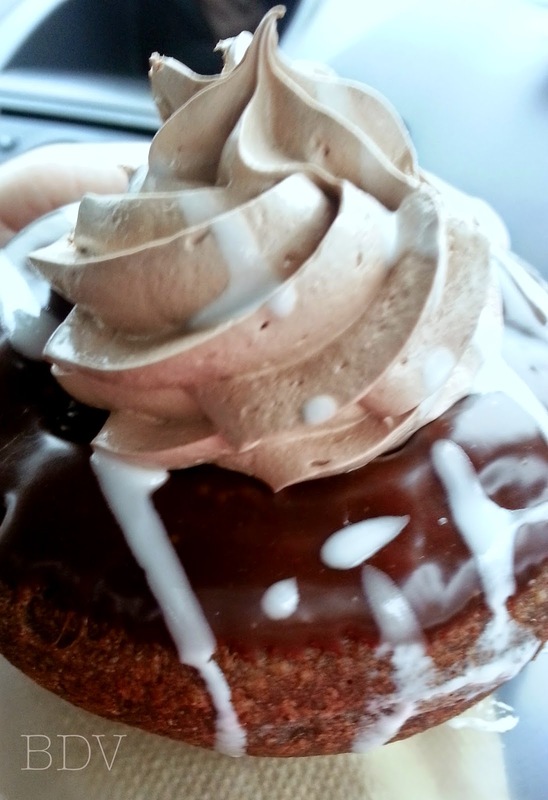 And this is a hot cocoa chocolate cake doughnut. How incredible does that sound? It was so very creamy and delicious without being too sweet or rich. 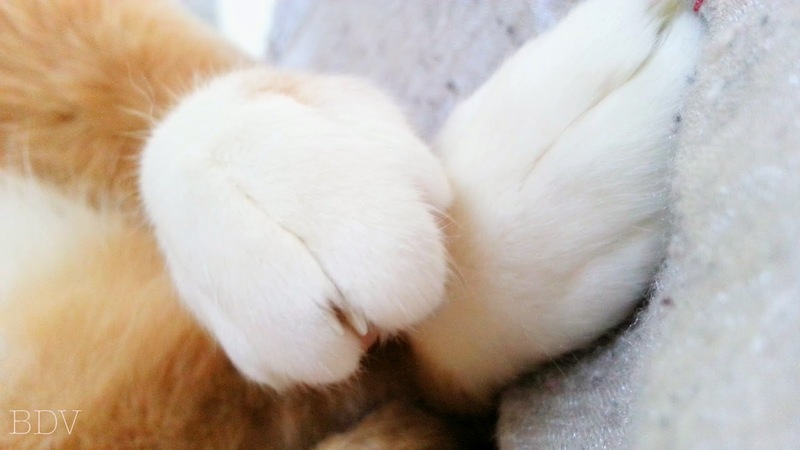 Sundays are my relaxation days - usually - and I love to cuddle with Ernie-cat. Here, I caught him crossing his back legs and thought it to be the most adorable Ernie-antic in a while. 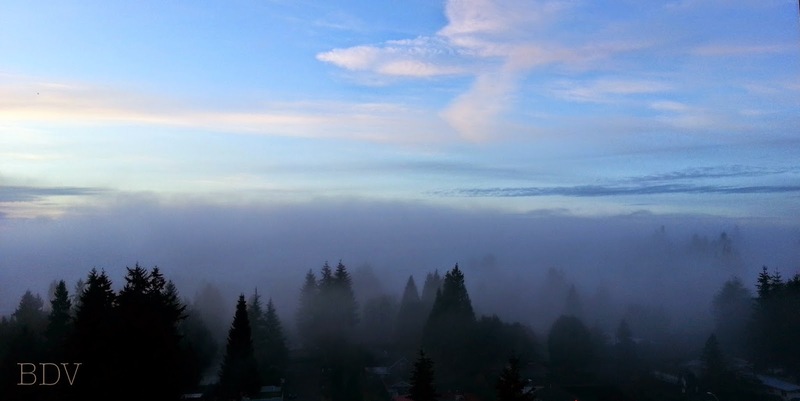 At work, I got to enjoy some amazing views of a foggy wonderland all around us. 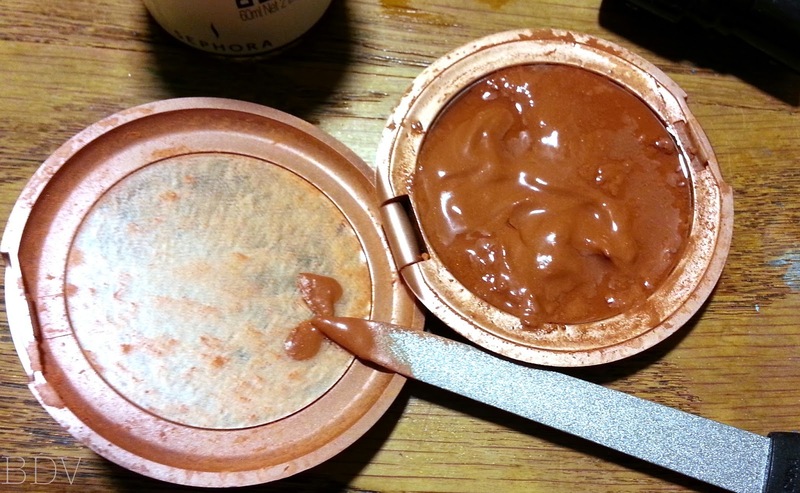 And how to fix your bronzer when it breaks. I had washed all my brushes and cleaned up my desk, finding my bronzer busted up. Thank goodness for easy fixes though! 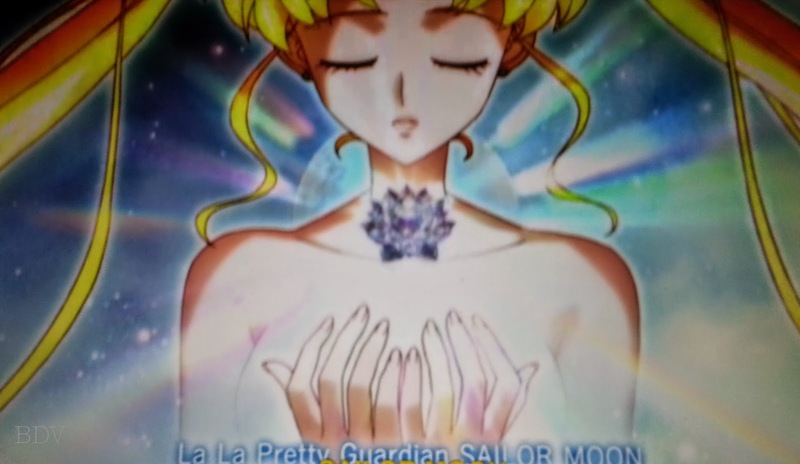 And on Hulu+, the beautiful reincarnated Sailor Moon Crystal series brings me right back to childhood. This reboot is based on the manga and not the original anime, which is a nice change-up. And, basically, that was my week. Nothing too crazy, but enough to appreciate. Hopefully you all had a great week! Was it inspiring at all? Please let me know in the comments. Is it Al or Maybe Just Din... or Aladdin?